Good Morning/Evening/Afternoon Summoners, for those who are just seeing our guide for beginners, we’ll link the part 1 and part 2 below. But a brief synopsis is that we’re a former veteran players (4200k Prestige), who want to challenge ourself by starting a new. We started our new profile in hopes of taking advantage of arena brackets and everything, thankfully with a lot WHAM! and chimichangas, we were able to do so. Below we’ll explain the arena and how to take advantage of it within your first few weeks in Contest of Champions. 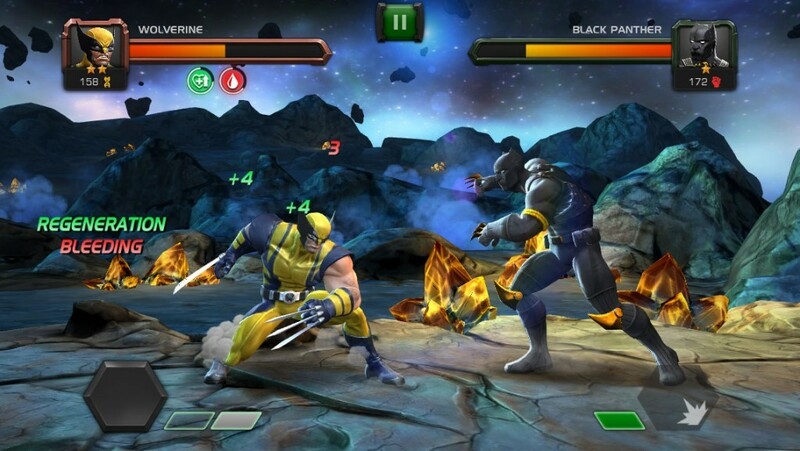 If you have any questions to this guides for Marvel Contest of Champions, leave a comment our write us directly. This it where it all begins in Contest of Champions. 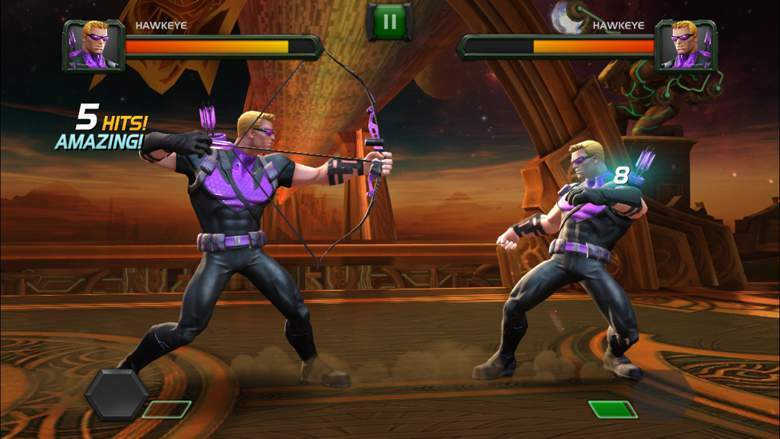 For the first few weeks you’re going to want to find an alliance first of all, and put as much time into arena as possible. Start out in the 2 star arena. Usually if you hit about 100k you’ll get the 3 star champion. You want to accumulate as many 3 stars as possible so you’ll be ready for the 4 star bracket soon. Forming teams of 2 stars won’t be too difficult, and you’ll have more than you even want before you know it. DISCLAIMER: Some may disagree, but we wouldn’t rank your 2 stars past rank 2. You ideally want their character rating or PI at 300. It’s more of a grind in 2 star arena, but you aren’t wasting resources you could use elsewhere (like 3 and 4 star champs). Trust us, we know what to do. You also want to compete in the weekly crystal cornucopia 2 star events to get more 2 stars to grind with for the 3 star champ. You’re also going to want to unlock parry and dexterity as stated in the above guys asap (evade 4 lyfe). If you’ve completed all these steps after the second week of beginner bracket, you should have 4-6 3 star champs. As soon as you get enough 3 star champs for 1 team, it’s time to grind both arenas. You should hit all of the milestones in 2 star by now, and a good chunk in 3 star. This will provide units and battle chips that will provide gold and units, as well as PHC crystals and shards. Aside from parry and dexterity, save your units, they’ll come into play shortly. Just keep grinding arena these weeks as much as possible. We also advise to start grinding catalyst quests daily in Contest of Champions to be able to rank up your 3 star/4 star champions. TLDR: This article is very long but valuable, so read. This is where the fun starts in Contest of Champions… This is where you get to see how close you are to being ready to grind for the 4 star champ. At this point for us we believe we had 12-15 3 star champions. We didn’t even think we’d be close to being able to grind for 1 mil so we wasted a week and didn’t go for it… Big mistake. During weeks 3 and 4 you want to push yourself as far as you can go in the 4 star arena. You want to test yourself, grind until you can’t grind anymore. If you can get 600k-1mil in 4 star arena without too much strain….. then it’s time to spend those units you saved up. Ideally you’re going to want to hit 1.3-1.5 mil in beginner for the 4 star champion (please note cutoffs are varying every week so don’t kill us if we’re wrong). We know this sounds like a tall task, we know this sounds impossible, but if you want to maximize your new account, you need to put all your effort into the first 2 months, Grind till your fingers fall off, grind to music, whatever it takes. What we tried to set a certain number in our head a day we wanted to hit, if we hit it, we was done grinding for the day. If not, we would spend units to reach that goal. Set realistic numbers. We know beginner sounds like a daunting task, and it is. But the reward is some of the newest top prestige champs in the game, which will help your further down the line we promise. For us, we were able to get our first featured 4 star champion in beginner (howard the duck) on the last week in the beginner bracket. By week 4 in Contest of Champions if you have followed these steps, you should be able to get the featured 4 star if you can put the effort into. Top 1-50 players get the 4 star featured in beginner (that’s how you know if you’re still in beginner if the rank rewards say “top 50 summoners get 4 star featured) Also keep in mind you won’t have strong enough teams to get infinite streak yet, so you’ll have to reset your streak. We won’t have to go into too much detail for this section as beginner covered it for the most part. Your roster should be having a good amount of teams, 7-10, so you’re going to want to hit the 4 star arena as much as possible. Keep in mind the cutoffs for this arena have increased, and you’ll probably need over 2.5 mil to be safe (we usually did 2.7 or above). The top 100 in intermediate get the 4 star champion. Intermediate bracket is going to take up a lot of your time in Contest of Champions, but arena should be the focus. Grind Grind Grind, Bump and Grind, whatever you need to do to grind. Do it. Make sure you’re also running those catalyst arenas, you’re going to want to take your 4 stars to 3/30 as quickly as possible. Most of the same rules apply in this bracket as beginner. We did not have enough teams to run infinite streak, but each run we were able to clear about 90k to 160k during our final week of intermediate per run. We aimed for 10 runs a day, and was able to hit close to 1 mil most days. Units are gonna come into play here. Units and arena boosts! Use all the arena boosts you can in Contest of Champions! This is very time consuming, and it’s draining, but it’s worth it. Upon entering intermediate you should have the hang to how arena works so we don’t think there’s too much more to add. When you’re not playing arena we suggest playing the catalyst or story quests and keep grinding for that ISO. *That reminds us, you’re going to need iso to rank up your champs! You should get decent iso if you’re able to run the story quests and dupe your 3 star and 4 star arena champs. You’ll want to save the iso and use your class specific iso accordingly. By now you should have that hang of it and day 61 will be a sad day. But you should have 3-4 new and duped 4 star featured champs! And the grind is worth it! This is a lot of typing, but we wanted to provide something concrete. Our final tally was 3 4 stars and their dupes from arena (gwenpool, ww2, howard) and 3 4 star champs from arena unduped (ghost rider, mordo, cable). We probably put 6-8 hours in a day and it sucked… But, it was worth it now and has set us up nicely for our future in this game. We did have the benefit of grabbing a spot in a 3 mil alliance early on as we’re a vet player and was able to use our skills to hang in that alliance. And even recently a 6 mil alliance based off how we play (yes we got lucky but was still able to hang). So we did have that in our favor. But once you practice with parry and dexterity things will come easier. We’re currently alliance-less but, shouldn’t have a problem finding one due to our fast progress. If you grind like these steps say in Contest of Champions, you’re going to hit most of the solo reward milestones and pick up some nice signature stones, as well as ranking fairly high in your alliance events. Alright Summoners, we won’t bore you anymore. We really hope this helps, and feel free to ask questions you may have. This is a long guide, but worth it. Follow all 3 parts to be most effective. This game seems like a mountain of a game at time, but that mountain can be climbed. Good luck to everyone in Contest of Champions and don’t forget, to share. 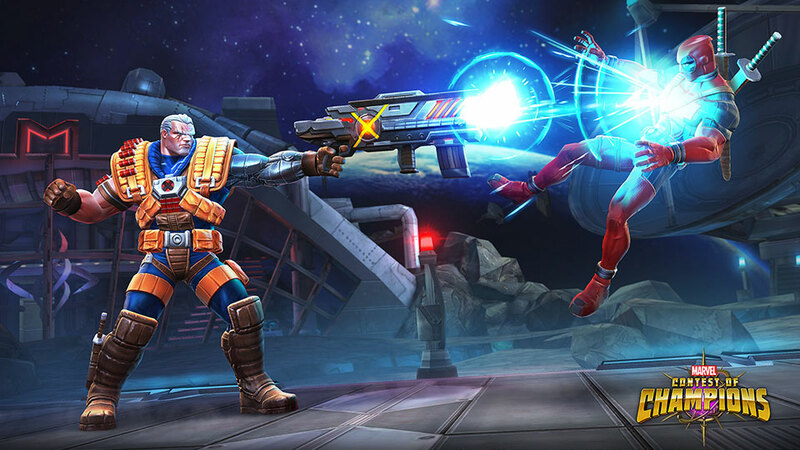 Be the first to comment on "Starting a new Account – Marvel Contest of Champions – Part 3"